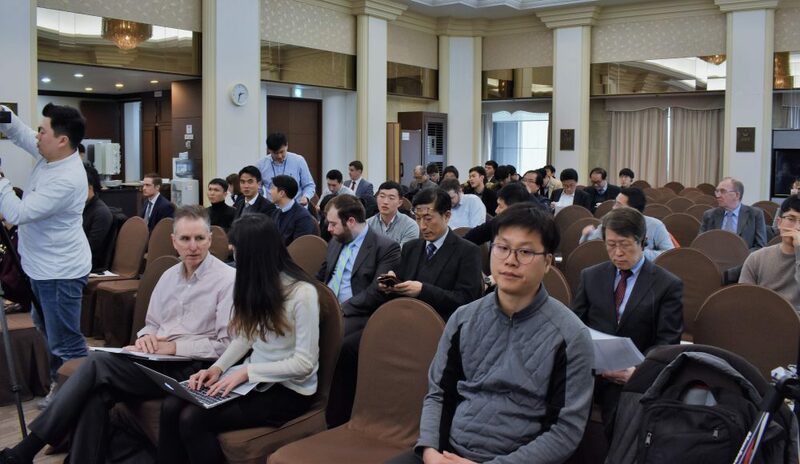 On March 21, PGS co-hosted the public event "Nuclear Diplomacy, Energy Policy and Geopolitics" with the US-Korea Institute at Johns Hopkins SAIS, 38th North, the Korea Nuclear Policy Society, and the Korean Nuclear Society in Seoul, South Korea. 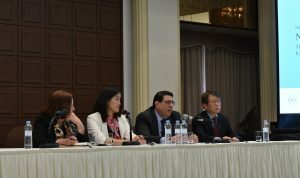 In the first session, Ms. Jenny Town, Mr. Frank Aum, Colonel William McKinney and Dr. Bong-Geun Jun spoke on "Options for Addressing North Korea and Its WMD Programs". In the second session, Mr. Ken Luongo, Dr. Anita Nilsson and Dr. Il Soon Hwang spoke on "Nuclear Geopolitics: The Roles of South Korea and the United States in the Expansion and Governance of Global Nuclear Energy". In Mr. Luongo's point of view, there are two very important issues. One is understanding the big picture of nuclear power policy and non-proliferation in the 21st Century. Second, the evaluation framework for the role of nuclear power has not been adequately updated and is out of step with modern realities. These new realities include the demands posed by global climate change and low carbon energy needs; threats posed by disruptive emerging technologies and non-state actors that require an improvement in nuclear governance; geopolitical challenges, including state-sponsored nuclear exporters; inexperienced newcomer nuclear nations in dangerous neighborhoods; regulatory systems that have not adequately evolved; and the elimination of electricity inequality as power and reliability demands grow around the globe. 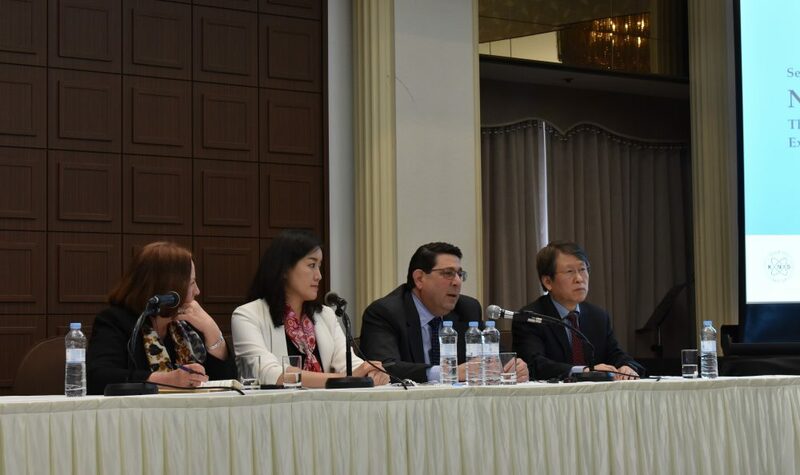 As a result, Mr. Luongo believes that new policies and partnership are needed.